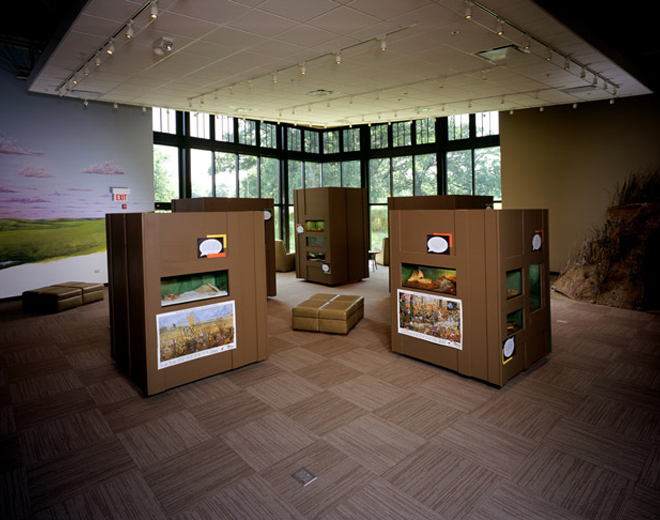 The Hickory Hills Nature Center is a LEED Silver environmental education center for the St. Charles Park District which has been designed to act as a learning tool to enhance the visitors’ overall experience. 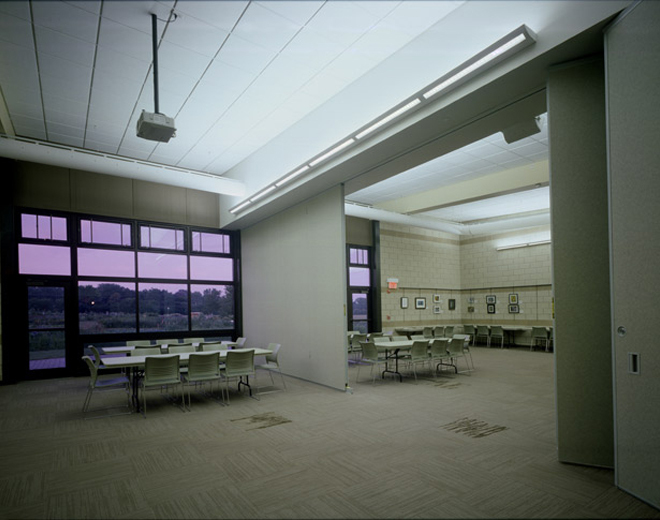 The education center contains an exhibit area, two multi-purpose rooms, a lobby gathering space, staff offices and work space as well as small program rooms. 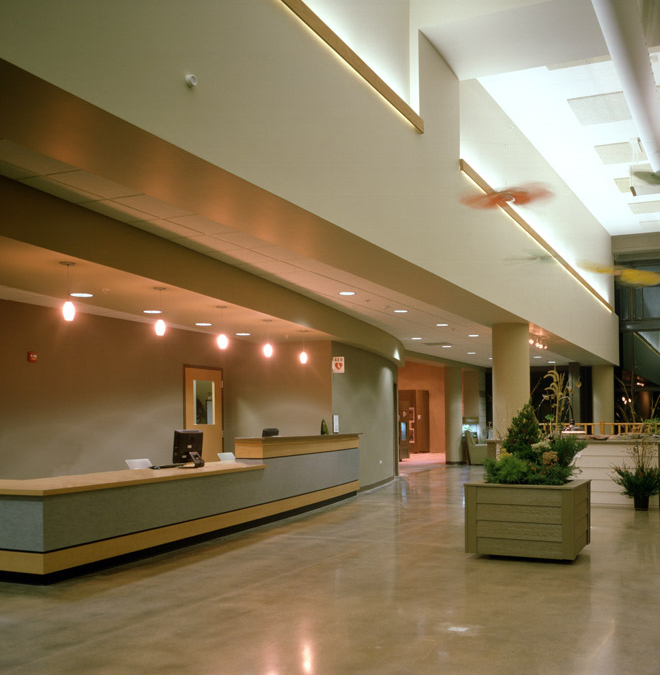 A roof garden over the main entrance canopy and an innovative design which allows natural sunlight to be used rather than artificial lighting further the sustainable design components of the building. 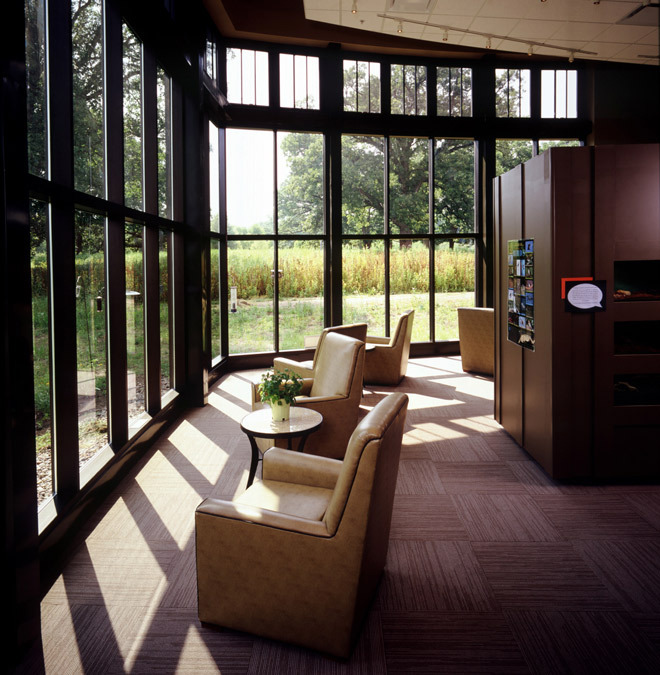 Natural stone, wood and glass were selected as building materials to blend the center into the natural surroundings of the area.